WE ARE CAR NERDS AT BROADWAY AUTO. A FAMILY BUSINESS BUILT ON HONESTY&RESPECT. WE WON'T EVER SELL YOU THINGS YOU DON'T NEED. WE PROMISE TO TREAT YOUR CAR AS IF IT WERE THE LAST ONE ON EARTH AND GIVE YOU THE BEST PRICE WE CAN. OLDER VEHICLE RESTORATION: DO YOU HAVE AN OLD OR VINTAGE CAR THAT HAS SEEN BETTER DAYS? WE CAN RESTORE YOUR CLASSIC TO LIKE BRAND-NEW, OR AT LEAST MAKE IT SAFE TO DRIVE. 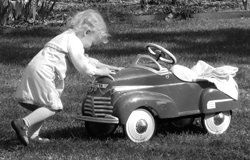 ALLOWING YOU TO ENJOY YOUR VINTAGE CAR CONFIDENTLY, AND SAFELY WITH YOUR FAMILY. OUR SOLID PRACTICAL EXPERIENCE HELPS US STRIVE, WHERE OTHERS MAY HAVE FAILED TO FIX YOUR TRICKY OLD CAR PROBLEM. CAR CLUB MEMBER BJORN IS A CURRENT BOARD MEMBER OF THE UPPER MIDWEST REGION – CLASSIC CAR CLUB OF AMERICA AND CURRENT MEMBER OF THE ANTIQUE AUTOMOBILE CLUB OF AMERICA, LINCOLN AND CONTINENTAL OWNERS CLUB, PORSCHE CLUB OF AMERICA, MERCEDES CLUB OF AMERICA. EARLY MAINTENANCE REPAIR LITERATURE car. WE ARE SOCIAL AT BROADWAY AUTO TECH SO FOLLOW US ON FACEBOOK, CHECK IN WHEN YOU ARE HERE, OR TWEET ABOUT US (@brwayautotech), WE APPRECIATE IT.